In keeping with the Sturgis Motorcycle Museum’s mission to honor those who have made a positive and significant impact on the sport and lifestyle, a special “Lifetime Achievement” award has been added to the Class of 2016 induction ceremonies. Already a Sturgis Museum Hall of Fame member circa 1992, Arlen Ness was a unanimous choice to receive the first Lifetime Achievement honors. As innovative and influential as Ness has been to the motorcycle industry, the contributions he and his fellow Hamsters club members have made to local charities over the years, including Children’s Care Hospital & School Foundation and LifeScape Children’s Care of Rapid City, are equally important. “The Sturgis Museum’s charter is two-fold, in addition to honoring individuals we want to pay tribute to the heritage of the Sturgis Rally,” Robbins explains. 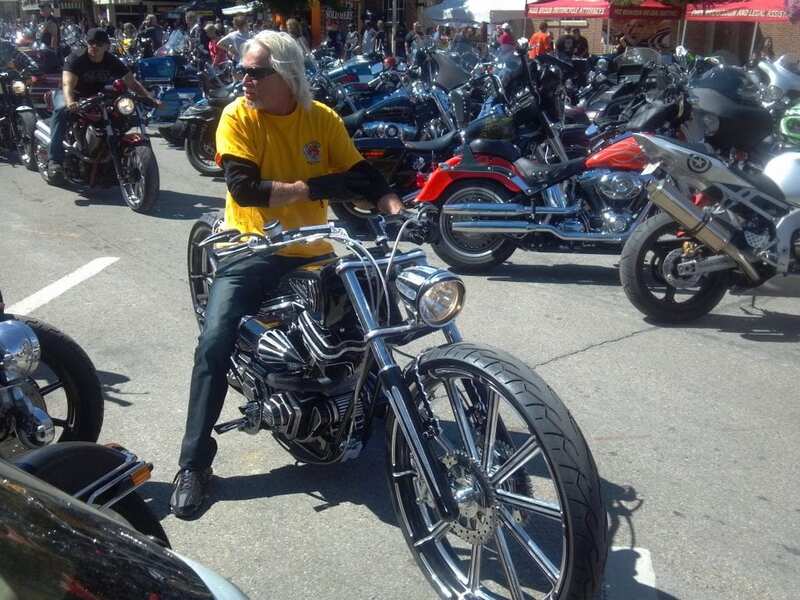 “Arlen and the Hamsters have made a lasting mark on the Sturgis Rally and the surrounding communities.” In the past 11 years, more than $2 million has been raised by the group. “Legend has it that Arlen really missed his calling as a pro bowler,” Robbins says. “It is true he used his earnings from bowling to buy his first motorcycle.” In 1967, Arlen found an old Knucklehead for sale for $300 and bought it with money he won bowling. He didn’t know how to ride, so a friend had to ride the bike home for him. In between riding lessons, Arlen stripped the bike down and began experimenting with his spray gun. Soon there was a growing list of people asking Arlen if he could do a nice paint job like that on their bikes. In 1970, Arlen and his wife Beverly opened their first store. Arlen kept his day job and worked on bikes at night. One year later Arlen quit his day job and began concentrating on his passion for custom motorcycles… and create a dynasty. The Ness custom family now includes son Cory and Grandson Zach making them the only three generation family of custom builders. Bowling’s loss has become the motorcycle industry’s gain! “Join Victory Motorcycles and the Sturgis Museum in honoring Arlen Ness and the entire Class of 2016,” says Robbins. The 2016 Sturgis Motorcycle Museum & Hall of Fame 2016 Induction Breakfast will be August 10, 2016 at the Lodge at Deadwood in Deadwood, South Dakota. Breakfast tickets are available for a $35 donation, tables of eight for $300. Tickets are available by calling the Museum at 605.347.2001 or they can be purchased online at: www.sturgismuseum.com.